Dimensions: 500 x 200 x 270cm; light box 161 x 13 x 13cm. Materials: Black MDF, hinges, vinyl, opal acrylic, fluorescent tube. 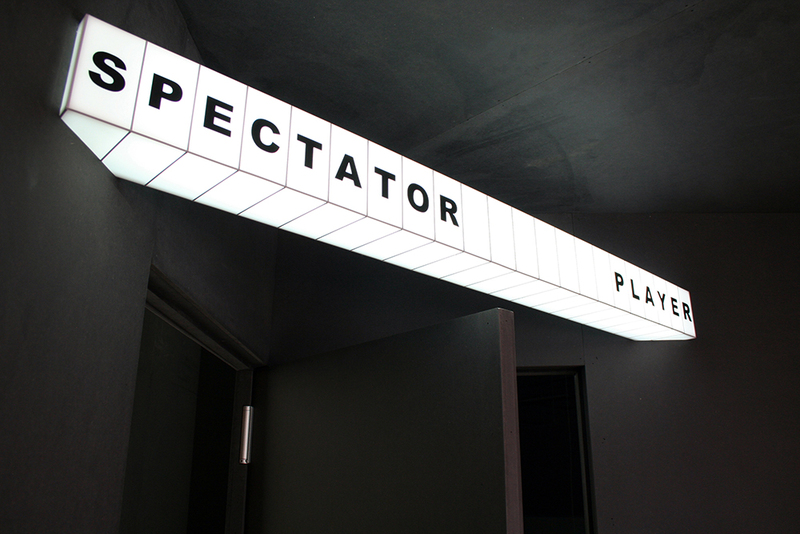 Entry to the game is via Spectator or Player. 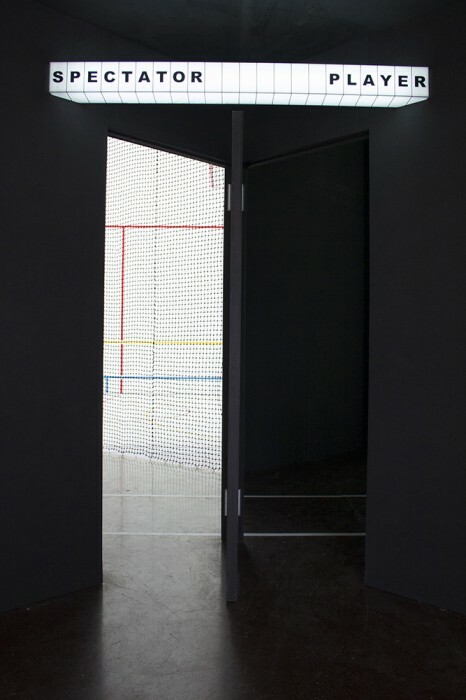 One door hinged at the centre of two door openings asks the viewer at the threshold of the show what role they would like to play. This absurdist gesture establishes a game where different modes of spectatorship and participation between the physical and imaginary unfold. 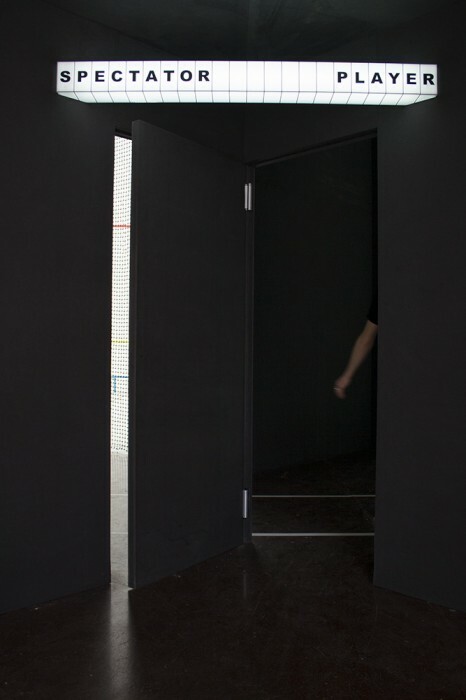 The work makes reference to Duchamp’s Door 11, Rue Larrey where one door serves two entrances defying the French proverb – ‘a door must be either open or shut’.